Coming to the leela which we experienced yesterday morning(9th July) and could not add in last post at last moment, which I had said would share in today’s post which we had not planned. But His ways are His ways! While writing for one of the posts, I was telling Baba that MAHAPARAYAN would be executed on global level with around 5500 devotees. 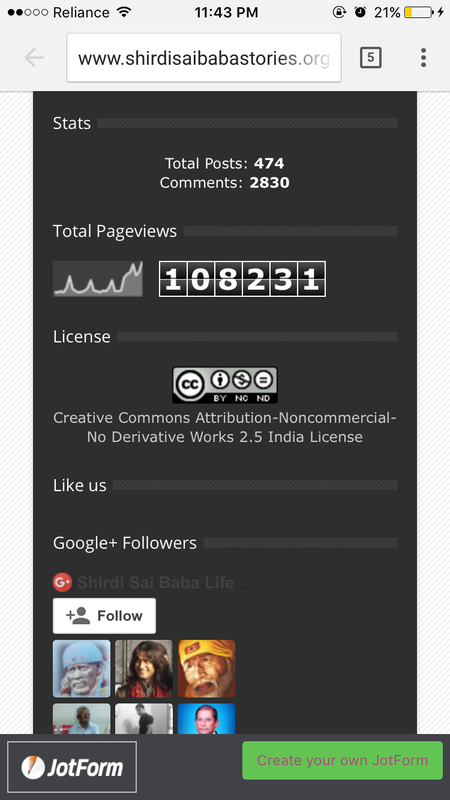 This is a big number for us to monitor everything but Its such a small number with respect to Your innumerable devotees! Also there may be devotees who want to be part of It but due to our limitations we would not be able to give them a chance. 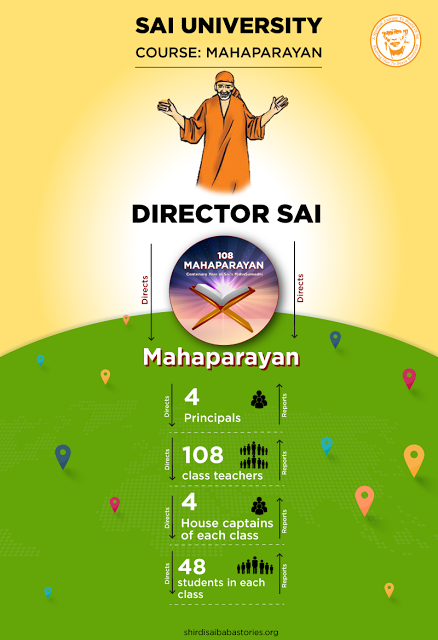 Now as the dream of taking Mahaparayan from local (with 1 group) to global level (108 groups) with our wonderful team seems to come true, I now wish that 108 such teams be formed where if required we would help them how to go about it. Then on Saturday night I started writing for Sunday’s post and after I was done, I sent some test results of P-forms to Hetalji late night. When I got up, again those thoughts for 108 such teams were coming, as if were being inspired by Baba. I felt I should add to the 7th Day post to be published but I did not. Then I checked mobile to only find Hetalji’s message that internet was not working and had tried all possible means. Then I was getting convinced about Baba’s hint for next project. I then shared about it with her and said that I think Baba wants me to add to the post and if This MAHA-MAHAPARAYAN would be possible then your internet will start working, if it is so then I will add to it and then we go ahead for publishing! After two minutes she called and said internet started and we had Goosebumps and were so happy. She too was saying so far it was not working since morning and continuously she was trying some means as Guru Pournima’s post we wanted to publish ASAP and now Baba showed His leela again. 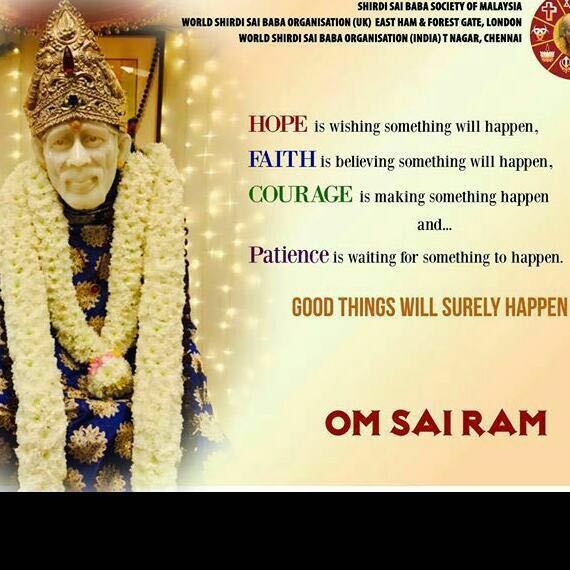 GOOD THINGS WILL SURELY HAPPEN !